Kajeet has updated its filtered WiFi hotspot for schools buses, the SmartBus, to allow for more connected devices, offer faster speeds and more. 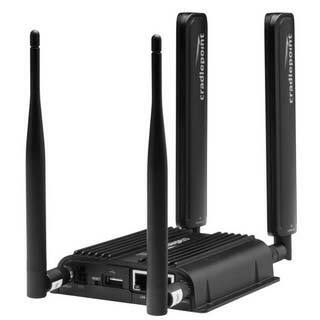 The company has updated the router to a Cradlepoint COR IBR900, billed as the first LTE router with Wave 2 Gigabit WiFi. As a result, "the Kajeet SmartBus solution now connects more students at one time, provides stronger WiFi performance speeds, and supplies more bandwidth on multiple networks," according to a news release. "The new COR IBR900 offers the latest generation Wave 2 Gigabit WiFi, which will provide students the fastest Internet speed on the school bus as part of a mobile solution working to close the Homework Gap," said Tony Puopolo, vice president of North America channel sales for Cradlepoint, in a prepared statement. "This compact, ruggedized router connects the school bus to 4G LTE networks, allowing for a seamless experience for students to access the online educational tools they need, despite sitting on a moving bus." The new router also provides support for up to two sim cards, allowing districts to change between wireless networks depending upon which is stronger. The company has also added two new networks, doubling the number of network providers partnering with the company and expanding coverage. "SmartBus improvements with faster Education Broadband provide students the quick, safe access they need to succeed," said Daniel Neal, Kajeet CEO and founder, in a prepared statement. "Students can spend more time on task and focus on learning, without worrying about slow or unreliable connectivity on their way to and from school, athletic games, and educational events. Kajeet aims to provide the best access to connect students to their educational resources outside the classroom." More information is available at kajeet.net.